This picture was taken last week outside of our local public library. 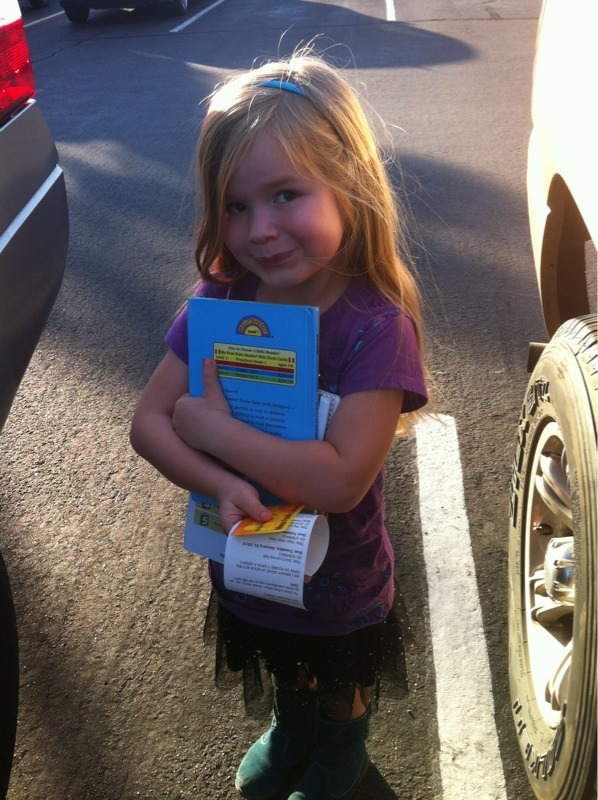 You can see that she was pleased as punch to check out a few books with her very own card. She even used the self checkout herself! She chose some early readers as she has decided that it's about time she learned how to read for herself. get yard sale stickers (the color dots) and put the child's name on it and attach to the non-important part of the card.